Jack D. Reeve, 88, of Tipton, entered eternity with his wife at his bedside on Friday, June 15, 2018 while under the care of the Cedar Manor Nursing Home in Tipton. Memorial services will be held on Saturday, June 23 at 11:00 am at Fry Funeral Home in Tipton. The Rev. Norman Anderson will officiate. Visitation will be held on Friday, June 22nd from 4:00 to 7:00 pm at Fry’s. Online condolences may be shared at www.fryfuneralhome.com. Should friends so desire a memorial fund has been established for the Cedar Manor Nursing Home or the South Bethel Church Fund. Jack, son of Dale and Edith Reeve was born on April 14, 1930 in Tipton. He graduated from Tipton High School in 1948 and attended one year at Iowa State University. Jack then enlisted in the US Army and served in Germany during the Korean War. Jack was united in marriage to June Nebergall on February 28, 1954 in the South Bethel Church where he was a long time member of the congregation. Early in Jack’s life he was a farmer and then began a career as a Real Estate Salesmen and Broker for approximately 40 years. 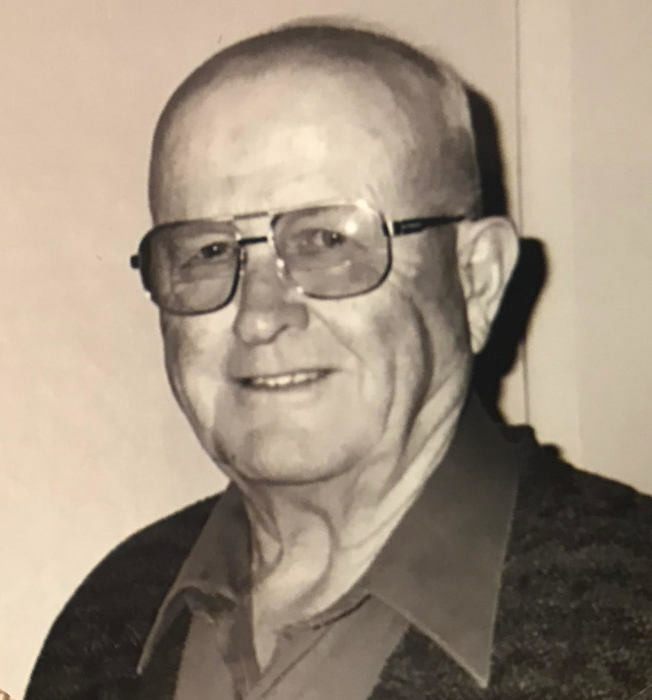 Jack was a lifetime resident of Tipton and served as a Cedar County Supervisor for 8 years. He was a member of the Tipton Lions Club where he served as President and enjoyed playing bridge with the same card club for over 40 years. Jack is survived by his loving wife June of Tipton, his three daughters; Mardi Burmeister of Davenport, Iowa, Kayleen Reeve of Tipton, Iowa and Janelle Reeve of Denver, Colorado; four grandchildren, Dustin Hinrichs, Kristin Burmeister, Jay Burmeister and Savannah Miles; great grandchildren, Anna Burmeister and Henry Burmeister; and his sister, Beverly Fitch of Tipton, Iowa as well as many nieces and nephews. Jack was preceded in death by his parents; his sisters and brothers, Marjorie Barnes, Dorothy Albaugh, Marilyn Ailey, Eldora Miller, Delbert Reeve, Robert Reeve, James Reeve and Paul Reeve; and his granddaughter, Lorelei Nell Hinrichs. A special thank you to the staff of the Cedar Manor Nursing Home for their wonderful care and also to the Iowa City Hospice for their compassion during Jack’s final days. | 220 E. 6th St.